Vermilion Yacht Club is your premier port of call with top-notch facilities and services for all of your boating needs. Located in Vermilion, Ohio, the Vermilion Yacht Club is ideally located in the heart of Lake Erie's best sailing. Our experience and reputation are second to none. 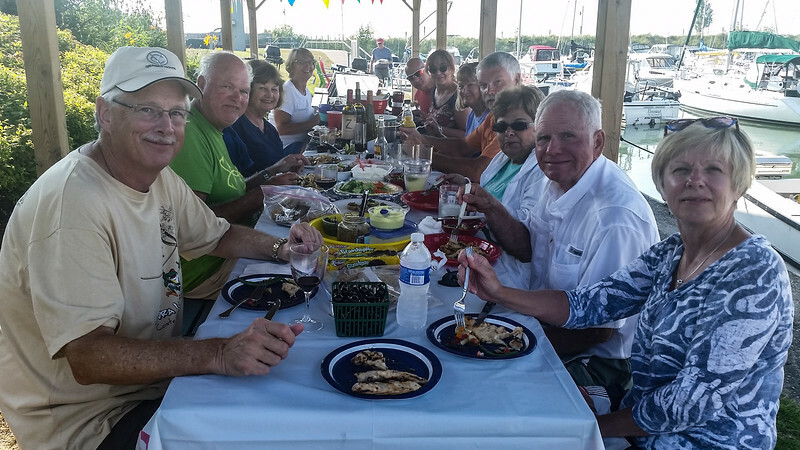 We have a membership of approximately 70 families united by a common passion for boating. With over eighty years of operation, VYC is one of the oldest Cleveland area yacht clubs. Come spend a weekend, a week, or a lifetime. You'll find lots to do in Vermilion and you'll find a beautiful club wth friendly members who will be happy to help you enjoy our area. Need a snug home for a new boat? Tired of pulling into that same old dock? Wish you were in a hurricane hole during those Lake Erie storms? Exasperated with dragging all your supplies and equipment down long docks from distant parking lots? Irritated with monthly minimums and assessments? Are cruising destinations too distant? If so, discover the magic of VYC and become a member at one of the best kept secrets on the Great Lakes. We are currently accepting new member applications. You can also view our Aerial Tour of VYC in high definition .